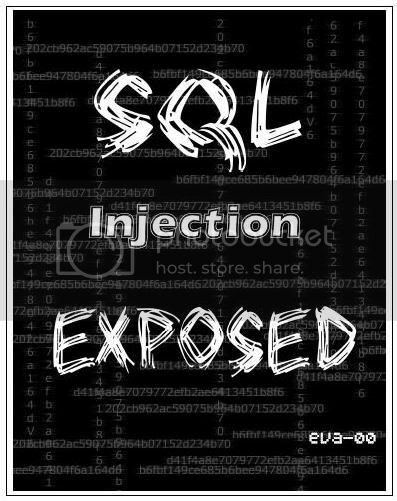 Posted in My eBook, Programming, Vulnerabilities, Web Application.Tagged php, SQL Injection, web application. eh maaf bukan teteh! kang eva ya. udah saya coba mas bro, setiap double klik tetep minta password! saya pake alzip buat extractnya. trims. Since there is so many fields of sptcealeiis that I have a choice of, I still really can’t choose one. So I am going base on my personal experiences. My original goal back in high school and maybe even before that, was to work in a Neonatal ICU! I had a brother that passed before he had his first birthday from heart complications, and that year I spent a lot of time at hospitals with my parents. My goal the first couple of years was to work with babies just like him. That was until I had my own children, I would of still loved to have worked in that career field but the heart ache I would most likely endure when one of those babies did not make it home. I could not have handled!On to more positive experiences, I have worked with the elderly and Geriatrics interests me very much. Being surrounded with people that have lived a fulfilled life is so much more rewarding. Even though at times it is the ending stages of their lives, and it is sad when someone does pass. It’s less of a heartache to know that most of the time they are ready to move on. They are still very dependent on you and when you are able to help them with their needs that’s the most rewarding of all, plus you form a special relationship with the patients and their families. watur nuwun ilmunya mas bro! lha download disininya download dimana??? Terrific post. I became verifying continuously this blog that i’m empowered! Beneficial details specifically the area 🙂 I personally handle this sort of information and facts a whole lot. I became interested in this kind of facts for just a long time. Thanks a lot along with enjoy.